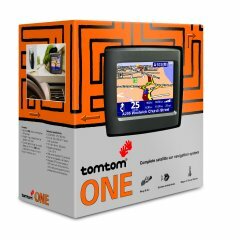 TomTom caught everyone off guard when they launched the ONE, very little had been heard about it prior to launch but it has already proved to be a popular device and one that despite being priced and positioned as the 'entry level' option is in fact better in some areas than its older brothers, the GO's. 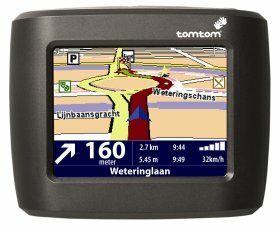 In common with every other current TomTom device, the ONE utilises the Version 5 navigation engine with Bluetooth support for TomTom's PLUS Services. Despite being launched in the UK very close to Christmas, early indications are that it has sold very well indeed and looks set to be a very popular product. Although it shares many features with the GO models there are some key differences here which could indicate improvements that TomTom may bring to updated versions of the 300, 500 and 700 GO units later in the year. Let's take a closer look. The first thing that immediately stands out, particularly if you are familiar with the GO units is the ONE's case design. Unlike the GO units which resembled miniature iMac's with a squat square shape and protruding rounded rear case, the ONE has a much slimmer design more akin to an LCD TV and it can be comfortably held in the palm of your hand. There are a number of reasons why TomTom have been able to shed weight on this unit and hence the slimmer case which we shall come to later on. Aside from the obvious design differences, the ONE differs from the GO range in a number of key areas which are worthy of explanation. GPS Chipset: The ONE sports the newer and much more efficient SiRFStarIII Chipset. 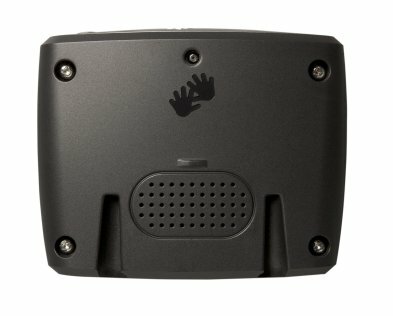 Not only is this receiver far more sensitive than the earlier units but it also means that the ONE will happily work in situations where GO's required external antennas, i.e. In vehicles with athermic windscreens. As an example, during testing we installed the ONE in a Renault Megane. To use the existing GO 700 we needed to purchase and fit the external antenna accessory. The ONE however worked out of the box, less wires, less expense and a solution that can be quickly removed when leaving the vehicle unattended etc. 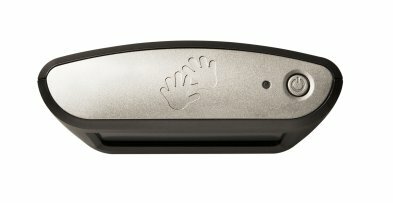 Battery: The ONE has a smaller internal battery. Whereas the GO units offer a runtime of around 5 hrs on battery power alone, the ONE's smaller cell will power it for about 2hrs before expiring. This may be an issue for those of you who prefer to run their GPS units in-car on internal battery alone but for me it was not an issue. The battery offers sufficient capacity to allow routes to be pre-planned at home, POI's installed etc and once in the car I connect it to 12v vehicle power anyway. Loudspeaker: Much was made of the GO units incredibly loud and clear speaker when it was first launched. Unlike many of the competitors then available, the GO was well able to dispense navigation voice instructions with sufficient volume and clarity to be heard in the noisiest of environments, even cabriolet's and HGV's. 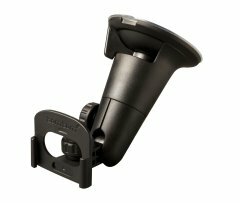 The ONE has a smaller speaker but whilst the quality suffers to a small degree, I find the volume still more than enough for use in an average car. In noisier locations it may lack sufficient punch and there is a detectable loss of clarity and hiss but this is only noticeable when comparing directly to the GO which set a very high standard and was partly the reason for it's bulbous shape! The ONE is still louder then much of the competition. In common with the it's elder brothers, the ONE utilises TomTom's ubiquitous 'Navigator 5' software release which has been covered in depth previously. In summary this includes full UK 7 Digit PostCode support as well as supporting TomTom's .ov2 POI format which means that the ever increasing compilations of user POI set and our very own Safety Camera Database are fully supported. The only thing of note missing from the box is a mains charger. In line with the budget pricing of the ONE TomTom have seen fit to move this to the options list and supply only a 12v car charger lead. A single country map is supplied pre-loaded on an SD card together with a plastic card that contains your all important Product Code (don't lose it!). The Power button and Power ON LED have been placed on the top of the unit . This isn't ideal as the Power ON LED is the only easy way of knowing if you the ONE is receiving power when connected to the vehicle's 12v accessory system. When the ONE is mounted in the windscreen on its cradle the Power LED is almost impossible to see. You can check battery status and confirm the unit is being charged from the status screen in the software but it would have made much more sense to position the Power LED on the front of the unit itself! 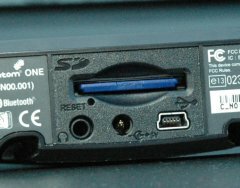 On the bottom of the ONE can be found the SD Card Slot, Power Socket, Mini-USB connector and Reset button. The ONE also adds a headphone socket which has not been seen before and this is also located on the bottom. Not visible in this shot is the external antenna socket which is located centrally at the top of the back panel above the speaker. Although given the ONE uses a SiRFStarIII GPS chipset, the necessity to use an external antenna should be very much reduced. Let's not forget the cradle. This shares its major components with the GO bracket but uses a different 'shoe' arrangement which slides into grooves in the rear of the ONE itself. Another cost saving measure can be seen here. Unlike the GO where power is connected to the cradle which has contacts which connect with the GO when it is 'docked', the ONE's cradle is completely passive with no connections. Power needs to be manually plugged-in to the ONE each time it is docked. The ONE in common with the 300 does not have the Assisted Satellite Navigation (ASN) facility that was present on the classic GO units as well as the 500 and 700 but I have to say I never missed it in testing. Bluetooth is present to allow the connection of a compatible Bluetooth equipped mobile phone and this permits connection to TomTom's PLUS Services such as Traffic, Weather and downloadable maps (additional costs and or subscription fees apply). 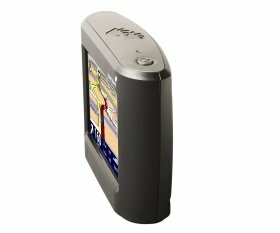 The TomTom ONE is in many cases a better purchase than the more expensive GO 300. The GPS reception is superb, the design makes it pocketable and easy to hold and the software is the ever popular Navigator 5 with it's POI and PostCode support. In this price range there is nothing to match it.